Attempted land grab by Ethiopian government has led to violence against ethnic group. The violence-torn Horn of Africa is seeing a fresh wave of repression as Ethiopian authorities crack down on protests by the country’s largest ethnic minority. Human rights groups say an attempted land grab by the federal government has seen violence flare in the Oromia region, with up to 50 protesters killed by security forces so far this month. Campaigners from the Oromo ethnic group say they have been labelled “terrorists” by Ethiopian authorities as they fight the government’s plan to integrate parts of Oromia into the capital Addis Ababa. Some Oromo protesters fear that they will be forcibly evicted from their land as part of the rapid expansion of the capital, which they call a federal “master plan”. The government has claimed that the protesters are planning to “destabilise the country” and that some of them have a “direct link with a group that has been collaborating with other proven terrorist parties”. International observer groups have condemned the violent crackdown on protest movements, however. “Instead of condemning the unlawful killings by the security forces, which have seen the deaths of more than 40 people in the last three weeks, this statement in effect authorises excessive use of force against peaceful protesters,” said Muthoni Wanyeki, Amnesty International’s regional director for East Africa, the Horn and the Great Lakes. “The suggestion that these Oromo – protesting against a real threat to their livelihoods – are aligned to terrorists will have a chilling effect on freedom of expression for rights activists,” he said. The latest round of protests, now in their third week, has seen the federal government mobilise its Special Paramilitary Police units from other states, as well as army units, against the ethnic Oromo people, Ethiopia’s biggest ethnic group of about 25 million people out of a population of approximately 74 million. The protests began last month in Ginci, a small town about 50 miles west of Addis Ababa. Initially, campaigners’ demands were limited and concerned the fate of a local stadium and the clearing of nearby forest for development by foreign investors. The uprising spread quickly, however, to more than 130 towns across Oromia. And gruesome images of protesters wounded, or killed by security forces appeared on social media sites despite deliberate power blackouts and disruption of internet services. The Prime Minister, Hailemariam Desalegn, said on state television on Wednesday evening that the government knew that “destructive forces are masterminding the violence from the front and from behind”. He said he would take “merciless legitimate action against any force bent on destabilising the area”. The government said that the outlawed Oromo Liberation Front (OLF) was involved. Ethiopia’s anti-terrorism legislation permits the government to use unrestrained force against suspected terrorists, including pre-trial detention of up to four months. People that have been subject to pre-trial detention under the anti-terrorism law have reported widespread use of torture and ill-treatment. All claims of torture and ill-treatment should be promptly and independently investigated by the authorities. “The government should desist from using draconian anti-terrorism measures to quell protests and instead protect its citizen’s right to freedom of expression and peaceful assembly,” said Ms Wanyeki. 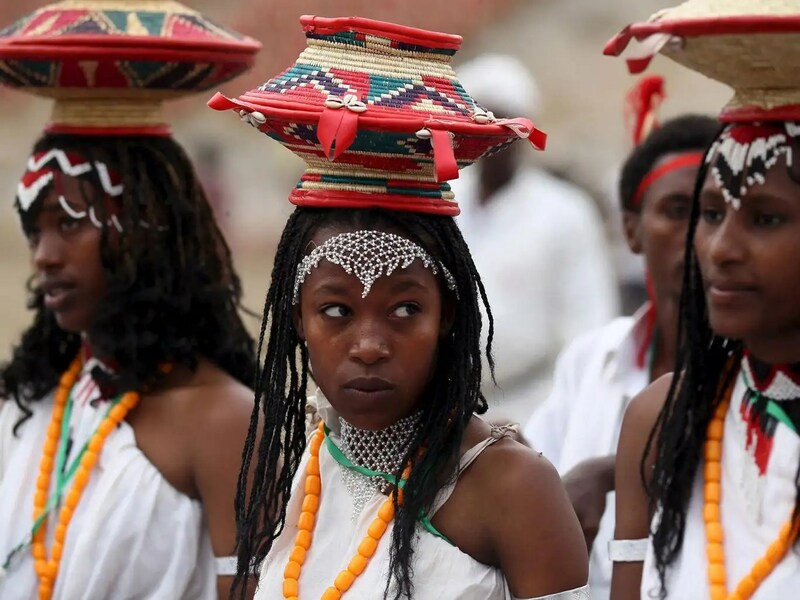 Since moving into Ethiopia’s highlands in the 1600s, the Oromos have been discriminated against by the ruling Tigray and Amhara classes, who often saw them as “uncivilised”, according to the historian John Markakis. Posted on December 24, 2015, in Uncategorized. Bookmark the permalink. Leave a comment.